Extended run until July 2019. Kobayashi presents a new performance and exhibition based on two audio spools hidden inside an obsolete wire recorder purchased at an estate sale. The recordings capture the voices of a New York family spanning 1952 to 1954. The narrative contained in the recording is a puzzle peppered with fragmented and overlapping dialogue, a charming living room drama rich with the eccentricities of family dynamics performed for the tape recorder. 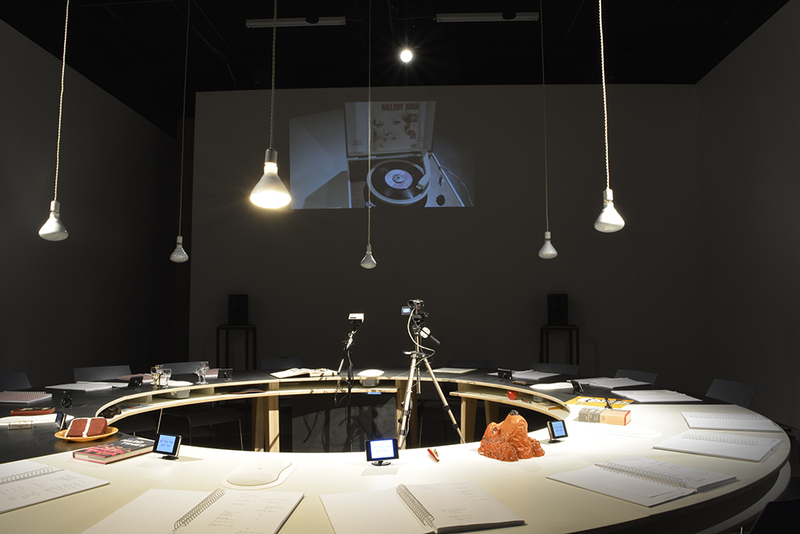 Decoding the document and using it as both soundtrack and inspiration, Kobayashi creates a new installation containing videos, drawings and book works that reimagine the events, characters, and references from the recording. 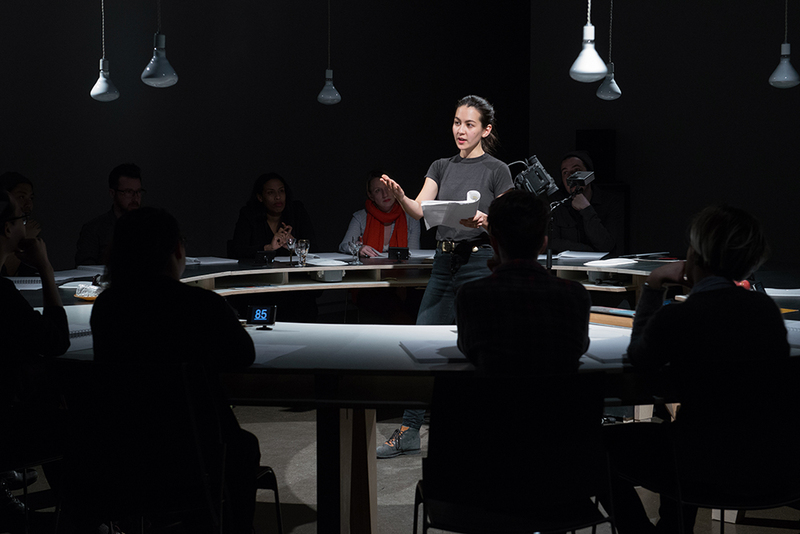 Over several performances, an intimate audience is privy to a script ‘read through’ where Kobayashi acts as both director and performer, contextualizing the recording with her research (and imagination) and tangentially exploring character’s personal histories — from the Ivy League to the pornographic. In Kobayashi’s practice, “personal histories get farther from fact as we learn to tell a better story.” Say Something Bunny! plays with what authentic memory is, preserving narrative details from source material and fictionalizing the rest. Say Something Bunny! extended until July 2019 from Alison S. M. Kobayashi on Vimeo.